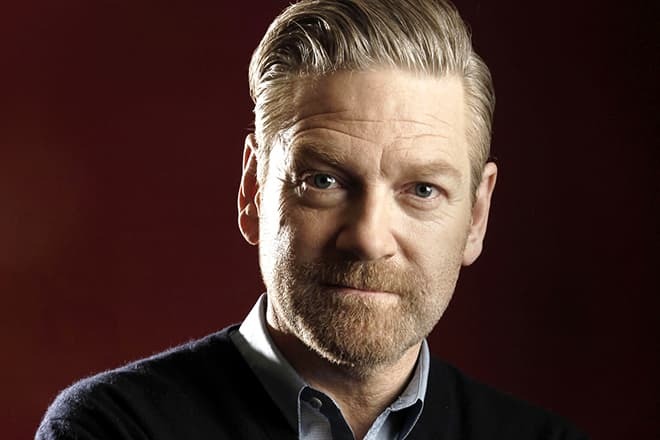 The filmography of the actor Kenneth Branagh is full of the most various roles, and the number of movies in which the actor had taken part during his career is so high that they would have been enough for a couple of lives. According to his admirers, the boundless diligence is the key to success of the talented Irish actor. 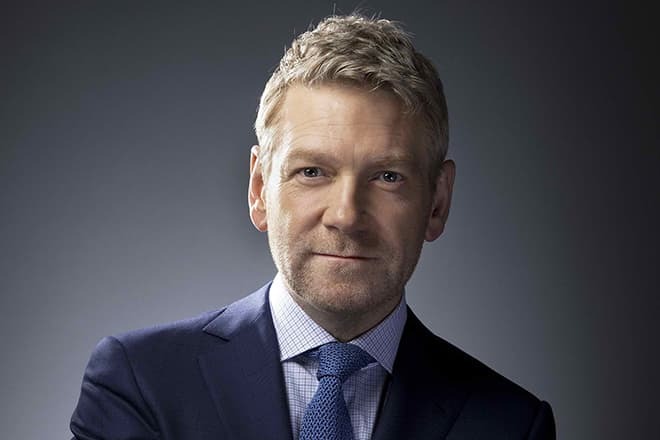 Kenneth Charles Branagh was born on the 10th of December of 1960, in the city of Belfast – the capital of Northern Ireland. The parents of the actor were ordinary workers: his father William worked as the carpenter, and his mother Frances was engaged in the education of children. It is known that among Kenneth's relatives there were no actors at all. The family of the future master of transformations led an extremely modest way of living. The money earned by the head of the family was hardly enough to pay the municipal bills and buy the products necessary for a month. Besides, the situation was complicated by the circumstance that Kenneth was a younger son in the family and except him, there were two more children. For this reason, he couldn't have expected to get the inheritance or good education. Life in Northern Ireland was also difficult during this period. Bloody collisions of Irish Catholics and Irish Protestants were a usual thing these days. For this reason in 1969 the family of Branagh had moved from Belfast to the English Reading (The County of Berkshire). Despite this relocation, Kenneth always felt an Irish man, and therefore at the theater, he often performed the characters who spoke Irish in the dialogues. It is authentically known that Kenneth started to appear at the theatrical stage in Northern Ireland. After moving to England he continued to improve his natural talent of the actor already at the English school. Since his childhood both art and acting became an integral part of Branagh Jr.'s life, that's why it's not surprising that after he had finished the high school the charming young man, without hesitation, set off to London and filed documents to the Royal Academy of Dramatic Art. Having looked through the track record of the future actor which already contained ten theatrical roles, the Admissions Board enlisted Kenneth to the educational institution and the beginning actor was even given a grant. After he had graduated from the theatrical academy a 22-year young man was trying to find himself at the theatrical stage during a few months. During this search, the ambitious young man even got a prestigious award of Lawrence Olivier for Best Young Actor. After this Kenneth was admitted to the company of The Royal Shakespeare Theatre, and already in 1983, he became the youngest actor who ever played the leading role in the play staged in the temple of Melpomene. After this success, the master of transformations got to work on new theatrical projects. In mid-eighties, he staged in London theatres the whole series of successful performances on which creation he had been working as the actor, director, and producer. In 1988, after his tours across Britain, Branagh began to be discussed as one of the brightest actors of "the new wave". 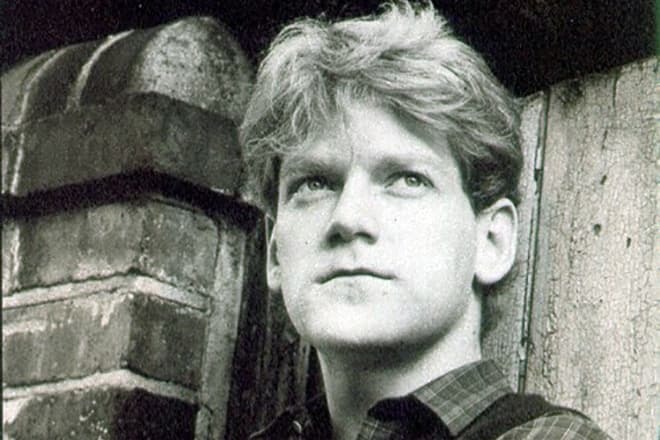 Even during his studies at the Royal Academy of Dramatic Art Branagh began to appear on the television. His episodic role in the series "Maybury" became his debut work as of professional actor. A few weeks later after the completion of work on the medical series "Maybury" the actor for the first time took part in the full-length movie under the title "Chariots of Fire". This movie hadn’t brought popularity to the actor, but it made him understand that he had chosen the right way in his life. 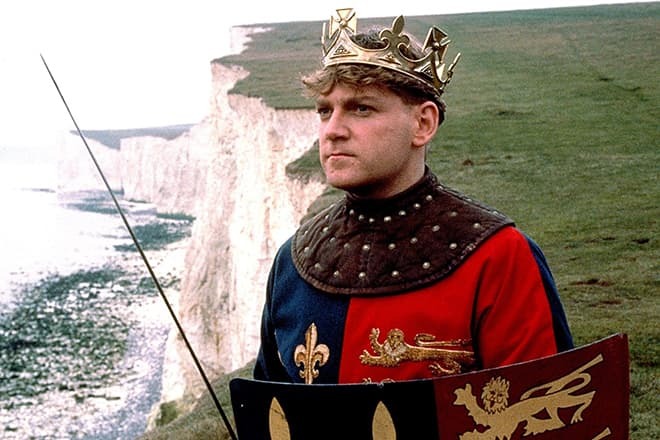 Kenneth Branagh in the movie "Henry V"
Kenneth became famous after he had directed and taken part in the movie "Henry V". This picture brought to the actor his first BAFTA Award and also a prize of The National Board of Review of Motion Pictures. Branagh was both the actor and director of the following movies - "Dead Again", "Much Ado About Nothing", "The Winter’s Tale", "Hamlet" and "Conspiracy". Each of the above-mentioned roles brought new prizes and prestigious nominations to Kenneth Branagh. In November of 2002, there was a premiere of the second part of the fantasy movie narrating about adventures of the young wizard - movies under the title "Harry Potter and the Chamber of Secrets". 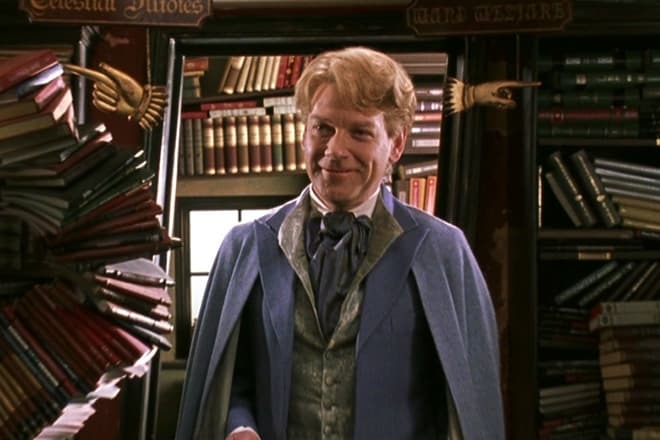 In this picture which plot was based on the novels by the English writer Joanne Rowling Branagh turned into the boastful magician Gilderoy Lockhart who became popular for his feats which he "had stolen" from other magicians with the help of the Oblivion spell. Kenneth Branagh in the movie "Harry Potter and the Chamber of Secrets"
In 2008 Kenneth enriched his filmography with a role of the major general Henning von Tresckow in the war drama "Valkyrie". Besides him, Tom Cruise, Bill Nighy, and Carice Van Houten also took part in this picture. In 2015 Kenneth Branagh directed the movie "Cinderella". The character of Cinderella was performed by the star of the series "Downton Abbey " - Lily James, the stepmother was played by the two-time winner of the Academic Awards - Cate Blanchett, and the character of the prince was presented by Richard Madden better known as the King of the North Robb Stark in the series "Game of Thrones". It’s worth mentioning that this project was not the first directing experience of Branagh. In 2006 he had already participated in work on the screen version of the Mozart’s opera "The Magic Flute". The talented actor was more than once called the best British specialist in the creative work of Shakespeare and other classical authors. 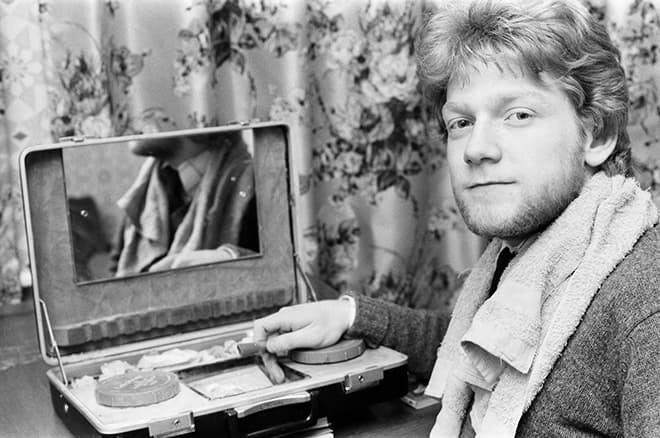 However, Branagh also worked in other genres as well. Such Hollywood blockbusters "Sleuth", "Thor", "Jack Ryan: Shadow Recruit" were directed by Branagh at different times. 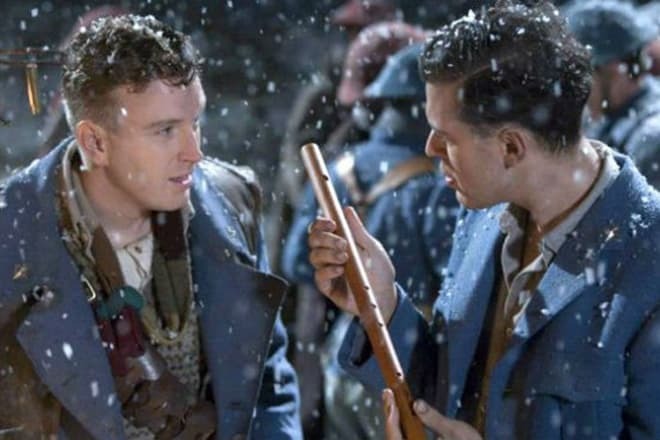 A shot from the movie directed by Kenneth Branagh "The Magic Flute"
The picture "My Week with Marilyn" in which Kenneth played the role Lawrence Olivier can be considered one of the most successful actor's works of this talented Irish man. For this role, the actor was nominated for Academic Awards, the Golden Globe and BAFTA Awards. As for other awards of the popular native of Belfast, in this context, it’s worth mentioning that in his track record Kenneth has four nominations for Academic Awards, Emmie and BAFTA Awards. Besides that, the actor still combines his movie career with theater performances within which he mainly plays Shakespearean characters. Branagh has never talked a lot about his relations with women. Despite actor’s efforts to keep his private life in secret, the nosy journalists have always managed to receive some juicy and scandalous details about the actor’s communication with the women outside the shooting stage. It is known that the actress Emma Thompson was the first spouse of the actor. This couple of celebrities got married in 1989. Their matrimonial union had lasted for six years and later they separated. It is remarkable that none of the European printing editions had ever written about the reasons for their divorce. After a hard parting Kenneth was coming to life in the arms of the well-known actress Helena Bonham Carter. In 1997 the actor got acquainted with the art director Lindsay Brunnock who was cooperating with his beloved woman Helena during this period. At first they communicated as friends, however, six years later, in 2003, they began to meet each other. Their passionate love affair resulted in the next wedding. Bran is still happy in this marriage. In July of 2017, there was a world premiere of the war drama "Dunkirk" directed by Christopher Nolan. Besides Branagh, such actors Tom Hardy, Harry Styles and Michael Caine took part in this movie which plot is based upon the story of the miraculous rescue of three hundred thousand soldiers during the Dunkirk operation which had taken place at the beginning of the World War II. 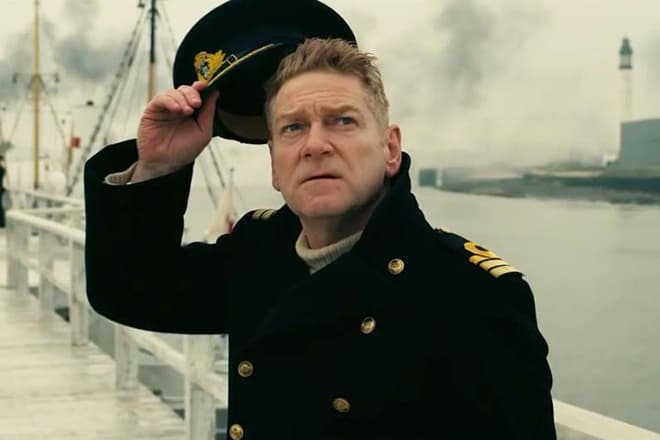 Kenneth Branagh in the movie "Dunkirk"
The movie "Murder in the Orient Express", directed by the same-name book of Agatha Christie is set for November of this year. In this picture, Kenneth will transform into the Belgian detective Hercule Poirot. It is known that Michelle Pfeiffer, Penélope Cruz, Johnny Depp and Judi Dench are also included in the movie cast. 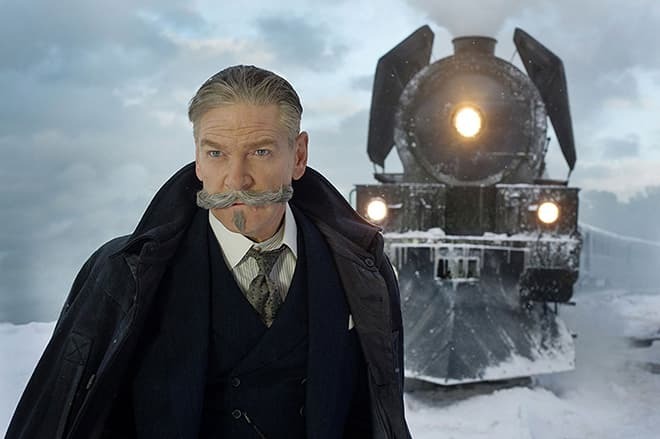 Kenneth Branagh in the movie "Murder in the Orient Express"
It’s known for a fact that the famous actor has no social networks, but his fans can easily find the materials connected with his creative career (photos and interviews) at the Internet portals and in printing editions. 1981 – "Chariots of Fire"
1987 – "A Month in the Country"
1998 – "The Theory of Flight"
1999 – "Wild Wild West"
2002 – "Harry Potter and the Chamber of Secrets"
2009 – "The Boat That Rocked"
2012 – "My Week with Marilyn"
2014 – "Jack Ryan: Shadow Recruit"
2017 – "Murder on the Orient Express"